Located in roughly the center of Lancaster County, Lancaster is a very "old" city becoming new again. Lancaster history goes back to the birth of our nation. In fact, it was the Nation's capital...for one day, September 27, 1777. Today, Lancaster is a thriving mix of old and new. The city has hundreds of beautiful Victorian homes and traditional row homes, as well as modern high-rise luxury condominiums. Everywhere, new construction is transforming the city into a thriving center of commerce and urban living. For example, the Lancaster County Convention Center and Lancaster Marriott at Penn Square (at the very center of Lancaster) opened a few years ago. The Center offers over 90,000 square feet of combined space and is a magnet for large conventions. This complex is a powerful draw for economic growth. And yet, Lancaster holds tight to its roots in American History. And it should. After all, its downtown streets have been walked by the likes of Thomas Paine, George Washington, John Hancock, Samuel Adams, Richard Henry Lee and Charles Carroll. Take a walk, find a historical building. Not one, but many. Walk two blocks in any direction from Lancaster Square and you can find 17 different architectural styles. Don't look down, look up, and you will be amazed at the architectural variety. Lancaster's downtown area is home to hundreds of art galleries, small shops and boutiques selling funky jewelry and clothing (the latest, stylish stuff!) as well as antique clothing, jewelry and furniture. Looking for great food? You'll find outstanding cuisine that rivals the best found anywhere. And you can also find a delicious Philly Cheese Steak (more about this later). One of our favorites in downtown is Himalayan Curry and Grill. They have unbelievably delicious food, near-perfect service and the most pleasant, warm and caring management you can imagine. We love it!! Central Market, right off the square, is not to be missed. 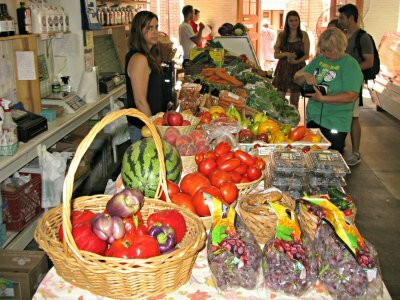 Here, you will find a dizzying variety of foods, crafts, Amish baked goods, local produce and international cuisine. 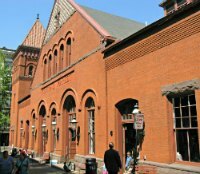 The Arts flourish in Lancaster, PA. We are blessed with the Fulton Opera House (the oldest continuously-running theater in the country), the Lancaster Symphony Orchestra, the Ware Center and the American Music Theater. Lancaster's Longs Park hosts a free summer concert series every year, the Dutch Apple Dinner Theater runs Broadway musicals year-round. And there's always more to be found...and experienced.